What Happens if Auto Accident Results in Dental Injuries In Columbia, SC? When you survive a serious Columbia, South Carolina, auto accident, you may be dealing with a number of traumatic injuries. Your dental injuries may not be your first concern, but they will be among the most painful and difficult to repair. Sometimes, quick treatment is necessary to save your teeth, but you may not be able to get the quick dental treatment that you require, because your other auto accident injuries take precedence. You might need surgery for internal injuries or treatment for broken bones, for example. This forces you to delay the dental injury treatment that you require. Yet, your dental injuries may be among the most devastating that you end up dealing with. They can change the way you look, the way you speak, and the way you eat. It could harm your self-esteem, hurt your employment opportunities, and make you self conscious when smiling or speaking to others. The longer it takes for you to seek treatment with a dentist, the more time your dental injuries have to become much worse. If you are bedridden after your accident and/or dealing with broken bones and medical devices, you may not be able to seek dental treatment or sit in a dentist’s chair for that treatment. When it comes to recovering compensation for your injuries, you may not know the actual cost of the damage to your teeth until you get a chance to see a dentist. When you talk to a Columbia, South Carolina, auto accident attorney, you might not even be thinking of your dental injuries because you’re so wrapped up in the other physical damage that was caused by the collision. If you suffer from a serious injury that prevents you from walking, causes you to lose your job, or results in permanent disability, you may be far more concerned by these issues than your dental injuries. In fact, because dental injuries from auto accidents are caused by trauma to the face, you might be focused on other facial damage, such as permanent disfigurement and scarring or even blindness. Today, we’re going to look at the different types of dental injuries that may occur in a Columbia, South Carolina, auto accident. These injuries can happen because of the airbag, the steering wheel, or the dashboard impacting your teeth. They could also be caused by your own knees, if you were a passenger in the vehicle and sitting with your knees up. They can even occur from the impact of your mouth slamming shut and your teeth colliding with each other. 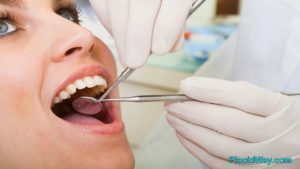 When dental injuries result from the impact of your mouth with another object, these are called direct dental injuries. When dental injuries result from your mouth slamming shut, these are called indirect dental injuries. In any event, you can recover compensation for any dental damage. This compensation can cover your dental treatment expenses, the pain and suffering that you’ve endured, and the long term effect of irreparable dental injuries. Following are the different types of dental injuries you may have after a Columbia, South Carolina, auto accident. If you’ve experienced an auto accident and need representation, contact Connell Law today! socket, then this is an avulsed tooth injury. It is among the most frequently occurring dental injuries in motor vehicle collisions. It can happen because your mouth struck or was struck by an object, or it can happen when your mouth slams shut with enough force to knock your tooth all the way out. This is not an injury that simply loosens a tooth, but one that causes the tooth to completely exit the socket. Many people aren’t aware that an avulsed tooth can actually be put back into the socket if handled correctly. If you can find the tooth, pick it up by the crown, and store it in a whole milk or salt water solution in a clean container, then your dentist just might be able to put it back. Unfortunately, this is only possible if you get to the dentist with your clean and carefully cared for tooth within two hours of the incident. For many Columbia, South Carolina, auto accident victims, this is simply not possible. Two hours after the accident, you are likely to be in the hospital, dealing with your other injuries that are probably much more severe than the avulsed tooth. Further, it is often not possible to locate the tooth in time or to handle it properly. If you are not able to seek treatment quickly enough to put the tooth back where it goes, you can often replace your lost tooth with a dental implant. A much less severe injury than an avulsed tooth is a tooth luxation. This refers to a dental injury in which the tooth is loosened instead of knocked out. However, this can result in losing the tooth if you don’t take care of the injury with a dentist. The dentist may push the tooth back into its socket and allow it to heal and return to normal. It is a painful injury, but it is often correctable. In some cases, there may be further damage that requires the tooth to be pulled. In other cases, the tooth may not be treated properly and it may eventually be lost anyway. Some of the most severe dental injuries from Columbia, South Carolina, auto accidents are those that involve fractured teeth. A fractured tooth is rated, based on severity, on an Ellis scale form Ellis I to Ellis III. If the crown of the tooth is fractured, but not the enamel, then this is Ellis I and the easiest to fix. There should not be tenderness or color changes. If the tooth is fractured into the enamel and dentin of the tooth, then this is Ellis II. It is likely to be a sensitive and tender injury that can also cause yellow tooth discoloration. If the tooth is fractured all way into the pulp layer, then this is Ellis III. This is a very sensitive and tender injury with redness and possibly blood at the center. If you have suffered from dental injuries in a Columbia, South Carolina, auto accident, call the attorneys at the Connell Law Firm to schedule a free consultation. We will help you to recover compensation for your dental trauma and other auto accident injuries.